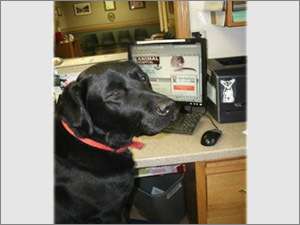 Diane joined Anchor Animal Hospital in 2012, as our Hospital Administrator. 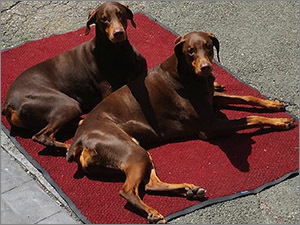 She comes to our facility with over twenty-six years of experience in general practice and specialty/emergency veterinary medicine management. She is a graduate of the Veterinary Management Institute at Purdue University. Mrs. Franklin is a longtime member of the American Animal Hospital Association, Veterinary Emergency and Specialty Practice Association, and Veterinary Hospital Manager’s Association. She attends continuing education annually to stay current in the field of veterinary hospital management and business operations. Her extended knowledge and experience is welcome at Anchor where we embrace progressive, quality and cutting edge veterinary medicine. She appreciates connecting and building lasting relationships with our clients, their pet’s, the community, and our dedicated and caring team. Her family includes her husband and four children. Her fur babies include two felines: Little Larry Everett and Crumpet; three canines: Bettis Steeler, Xena, and Jack Sparrow; and a Rex rabbit: Piper. During her free time she enjoys spending time on the beach, attending rock concerts, traveling, reading, and spending quality time with her immediate and extended family. “I enjoy all aspects of my job at Anchor and can’t think about anywhere I’d rather be”. Jackie has been employed at Anchor Animal Hospital for over 19 years and is an integral part of hospital operations. She is responsible for Supervising and leading our hospital team and ensuring our clients and their pets are given top notch care! She is a firm believer that we treat everyone that walk through our doors like family. Her smile is usually the first you see when coming through our doors. Jackie is fluent in Portuguese. She earned her Associate’s Degree in Veterinary Technology from Becker College and is a Certified Veterinary Technician since 1994. She maintains her certification by attending continuing education seminars and courses annually in both technical and managerial concentrations. Jackie loves all animals and enjoys interacting with them daily, but closest to her heart are Rottweilers, Pitbulls, and Chihuahua breeds. She shares her home with her four-legged babies, two dogs- Troy and Charli and two cats- Toni and Billi. Gina, a New Bedford resident, joined Anchor Animal Hospital in November, 2014 as part of our Client Care team and is also our Computer Technician. She has an Associate’s degree from Bristol Community College, in the field of Medical Office Management. She has been in the clerical field for over twenty-eight years and has been happily working with computers since the young age of seven. She has always had a love for all animals; her first job was at the age of fourteen, as a Veterinary Technician! Her family includes her husband of twenty-two years, her step-daughter, two Dobermans: Baron “Pooper” (six year old daddy) and Caliber “Roo” (four year old daughter); a Miniature Pinscher named Snickers “Snick” (sixteen years old); and a large Koi pond filled with a variety of Koi and even a freshwater Shiner! Gina enjoys computers/technology, watching television, reading, making puzzles, freshwater fishing, Corvettes/car shows, working on cars with her husband, snuggling with her pets, and spending time with her husband/family. Angus (a black lab) came to the Pietsch family in the winter of 2005. He was only a year old when brought home by Kate Pietsch, then a student at Tufts University School of Veterinary Medicine. 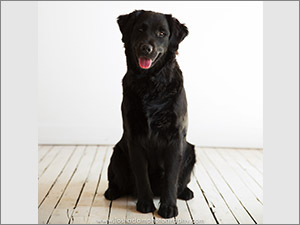 His previous owners, following surgery on his left elbow, had given him up. Angus arrived at the house unannounced and we were told that we didn’t have to keep him, but it was immediately clear that he was the dog for us. Angus has three loves in his life, his family (including his cats), his food, and his friends at Anchor Animal Hospital, although not necessarily in that order. Every morning he’s anxious to get to work, but Angus always stops to have his teeth brushed before heading in. Arriving at Anchor he starts his day by greeting employees and receiving his early morning “cookies”. Then it’s off to work in the front office napping, greeting clients, and performing for those that he thinks may give him “cookies”. Lunchtime includes a trip to the break room in anticipation of any dropped food, then a return to the office for the afternoon activities. At the end of the day, Angus returns home with Dr. Gerald Pietsch for dinner and family time. 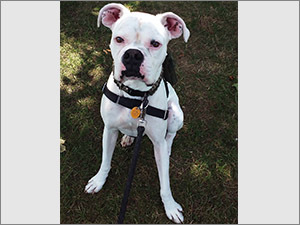 He has enjoyed training classes and has acquired his CGC certificate (Canine Good Citizen) awarded by dog trainer Marsha Albert at Many Paws in Westport. He thought that classes were great fun as good behavior was rewarded with; you guessed it, “cookies”. Angus has also taken classes in “Sniffies” in which he learned how to use his nose to find hidden treats. This was probably his favorite class. He continues to go to Anchor whenever Dr. Pietsch is there. She was raised in Utica, NY, so she was quite familiar with the cold and snow much like our winters. At the age of twenty-one she lived in Daytona Beach, and she later spent twenty years living in Florida, Georgia, and North Carolina before returning to New England. She worked in the child care field for thirteen years and loved it. Once her children grew older she was ready for a much needed change in career paths. Her veterinarian was looking for a technician and the rest is history. She has a large family of pets: a beta fish, a seven year old Golden Retriever named Blu, and three cats Timber, P.P., and Oliver. 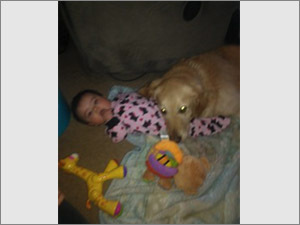 Her most precious gifts are her granddaughter Jenna Ray and grandson, Austin Dean, who are both already animal lovers! Growing up, Shayna’s childhood was surrounded by animals; she loved spending time with them, learning about them, and watching educational shows about them. Shayna knew when she got older that the Veterinary field was the right place for her. She doesn’t think of her job as “work” but an opportunity to educate clients and lend a helping hand. Shayna joined Anchor in 2008 after working in another small animal practice for two years. During her time at Anchor she has expanded her knowledge quite a bit and is specifically interested in Animal Nutrition. She has done many hours of research, training, and has even traveled to Kansas to the Hills’ facilities. 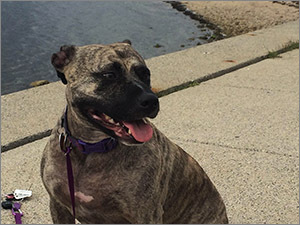 She truly enjoys helping pets with medical conditions, like arthritis or even obesity, seeing major changes just from being on the right diet. 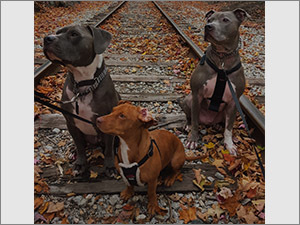 Shayna has three fur-children: her wonderful Pitbull, Titan; her lively Pitweenie, Iris, whom she adopted from Anchor; and her big-eared Pitbull-mix, Blue. Shayna loves to keep a healthy active lifestyle; she enjoys being outdoors, going to the beach, especially enjoys cooking, and loves to spend every moment she can with her dogs. She resides on Cape Cod with her boyfriend and fur-children. Karena joined Anchor in 2013 for a summer externship. 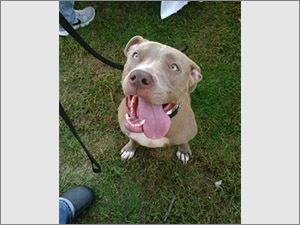 She attended Becker College and received her BS is Veterinary Science. She recently became attained her certification in 2015 and joined Anchor full-time. She has an interest in working with marine mammals and dreams of attending graduate school. She has one cat named Dusty and one dog named Maddie. She loves being given the opportunity to learn and grow with her job at Anchor Animal Hospital. Cindy was started on the path to a career working with animals by her father when she was just ten years old. He gave her the responsibility of a days old raccoon to bottle feed. From that point on she was the one who cared for any new animal brought into their home. She became a loving foster mom for the Providence Animal Rescue League, as a young adult. She was employed by this facility as an Animal Care technician for eight years. After the shelter she worked in several animal hospitals and soon became a certified veterinary technician in 2005. She maintains her certification through attending many continuing education seminars yearly. She is the proud mom of four dogs and six cats all rescued and fostered by her. 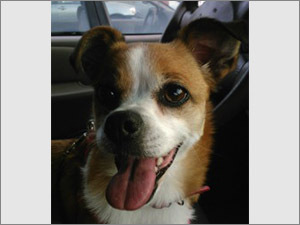 Cindy resides in East Providence with her boyfriend and her pets. She joined Anchor in 2013, as a Veterinary Technician while attending NEIT where she earned an Associate’s degree in Veterinary Technology. While in school, she interned at several other local animal hospitals, but Anchor was the right fit! Jen passed her VTNE examination in December of 2014 and is a Certified Veterinary Technician. At Anchor, Jen enjoys all aspects of the hospital from being in surgery and clinics working hands on with the animals, to client education and personal education, challenging herself to excel and learn all aspects of the veterinary field. 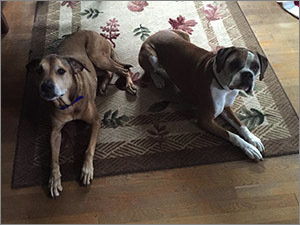 Prior to this career move, Jen received her Bachelor’s degree in Psychology from Bridgewater State College, but made the decision to return to school to pursue her love of animals. 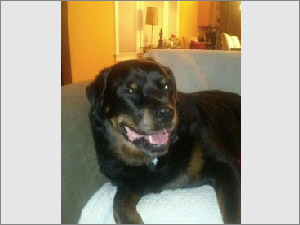 Her home is blessed with a lot of animal love from two cats, Magellan and Quincy, and two dogs, Maggie, a black lab, and Eleanor, a Golden Retriever/Fila de Sao Miguel mix. 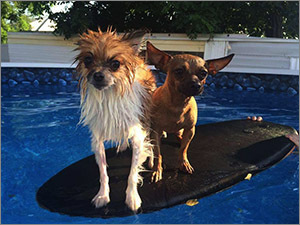 In her spare time, Jen enjoys spending time and pet sitting her many fur nieces and nephews. She also enjoys spending time with her husband and close friends, cooking, traveling and fitness. 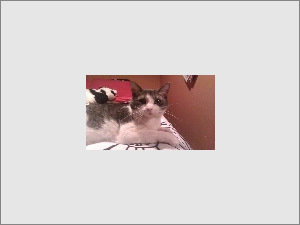 Lindsey resides locally in Fairhaven with her feline friend and family member Peanut. She is a recent graduate of the New England Institute of Technology veterinary technician program and is eligible to take the certification examination. She has a compassion for all animals both big and small. Lindsey is excited to begin her career in veterinary medicine at Anchor Animal Hospital. Her hobbies include baking, cooking, weight lifting, and hiking. Jessica joined the practice in June of 2014. She brought with her experience in general practice. She is Anchor’s OSHA Compliance Officer and fills many roles, as a Veterinary Technician and Client Care team member. “I enjoy taking walks and mountain biking in the woods with my boys Ian and “Ares”; and cuddling with my bearded dragon, “Thorn”.